#StarlightExpressSA rehearsal turn into sentimental mush. Me. Not them. They professionals. The script did not say cry here. Stel (Wenchy), Oups Mike & my sister, Rentia at Oupa’s 80th birthday Party. Today I sat in the rehearsal room at the Jo’burg Theatre being included (no Shirley Bassey, “nose up against the window pane” for me!) 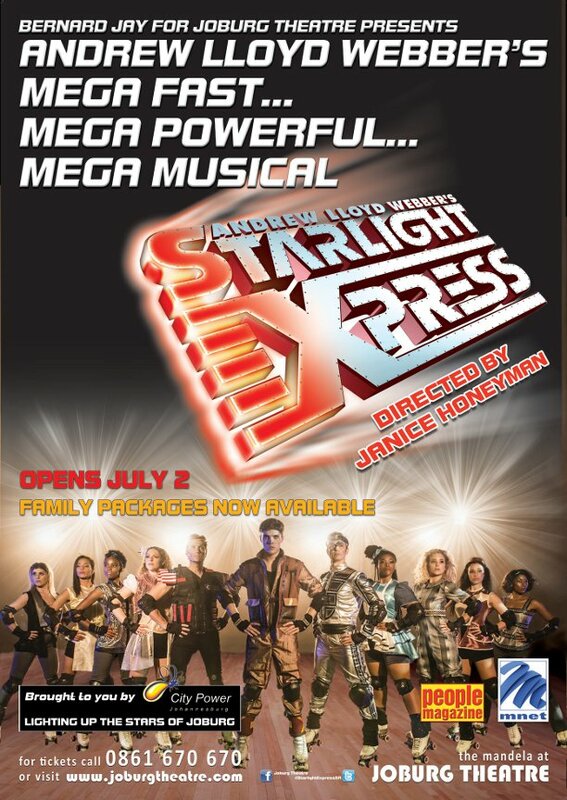 in the very first rehearsal for the magical Andrew Lloyd Webber musical yet to take our beautiful land by storm, #StarlightExpressSA – Star Light Express. I looked at the YOUNG, beautiful, young performers, I listened to them change accents, so much talent, projected voices (remembered that one from the drama classes? I never had an issue with that…. hheheheh) but I thought of you my Oupa. I was there representing the world of social media. You would have LOVED just saying those words to any person who would listen. Even the guy you bought budgie food from. It may not mean much to many, but Oupa to me I just clicked my heels. Never felt so at home so instantly. I feel in love. I love you like allot, but I am NOT even gonna try explain social media to you. You will forgive me, anyway – you singing hallelujah choruses all day maybe dance to a bit of harp music? Trust me, it beats taxi kwaito. Please get the pan flutes banned before I arrive. Asseblief! I am totally against it! Anyway – I was thinking of my piano lessons and the stupid mice that kept eating the felt, the tap dancing I adored, the dramatics of it all… how far my drama lessons was from one side of Potchefstroom to the other….. how you would wait in your little Datsun bakkie for me to finish pretending I am Judy Garland, before I even knew I WAS Judy Garland. All those sports events you attended. Running up and down the netball field. I never forget. It did not matter if I walked out of my lessons or sports field feeling depleted or elated, you told me how those emotions, good and bad will stand me in good stead. I think you were right, at the time I thought you were just making the drive go faster. I understand MANY emotions and it has helped me be a more REAL person. I don’t fake emotion.. – family trait – if I may mention….not the great pretenders we are. I am sympathetic, I have empathy and the words to go with the hugs – we all know I give the best hugs in the world!!! Ek het Oupa soooo vreeslik lief en verlang elke dag, maar some kyk ek vir Oupa se klok wat langs my bed staan en ek dink ons albei glimlag dieselfde typd. Send my deepest love to Ouma Chrissie and give her a Crunchie that goes brrrrr in her mouth… and THEN…. do that boeredans where you gentle throw her around the corner and lift up your leg van lekkerkry!! Where you throw your head back and laugh from your stomach. THAT is how I remember you most and when first seeing you after time apart (regardless of age), the outstretched arms, the smile that meets the eyes a million times over and the absolute lekker kry at seeing me. Thirdly, the night my father died. The open arms, the tears and a frail eleven year old falling into you and feeling safe. I wrote the night you died that it was the loneliest night of my life. It remains so. Never. Not once, was I not proud that you were my grandparents. I do not write that easily and I have thought about it plenty…. I lived with you for eleven years – you never embarrassed me. I was VERY proud *I* am part of you and Ouma. I know I have caused many upsets (met die baie weddings en kinders by dosyne en so………..), many heartaches sometimes doing incredibly stupid stuff in my life because YOU made me so stubborn (haha!) but Oupa, ek dink ek gaan dit nog seker n hele paar keer doen…. Thank you for always making me feel enough. Everything I needed was already within me. Thank you for making me feel I was all good, accepted and loved beyond my wildest imagination….I know it was a true love. Unconditional. Never earned. Freely given. Although I did not end up entertaining professionally as a dreamt when I was little, I give a pretty good private performance on a good day. Actually, I have given quite a performance of a life…. and today I got to give it all a look from a different perspective. It was so good Oupa. There is this one dude Bongi, he sang these two lines and I closed my eyes…. a tear just ran over my cheek. It was beyond purity. Beyond beauty. I was so privileged so even hear that. I am so grateful. I wonder if these young people know just HOW talented they are. I will still write a proper blog, but I had to say, thank you Oupa… I owe you one, yes another box of Turkish Delight! We well all miss you more than much. Mammie is lost… I worrie about her allot, Dad tries to keep her sane… Rentia, Johan en Tayla … ek en Dion en al ons baie kinders, Toy en al hom se kindersn en hulle kinders, Denise en al haar kinders and Elijah James… Oupa sou even van ons derde sussie, Mary-Ann gehou het, sy is classy en blerrie mooi! 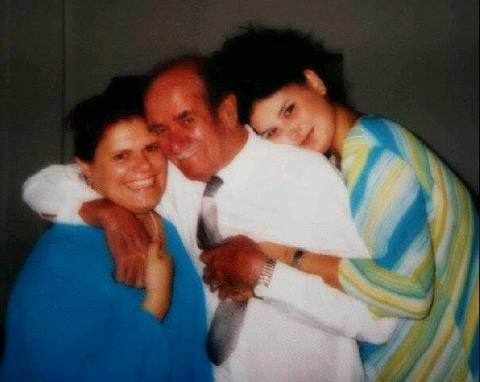 Ek weet nie hoe mens Oupa nie kon ken en nie mis nie. DAAI MENSE IS MAL, ek en Rentia is dood normaal. No bi-polar here. I think you would have been proud of me today. I touched a tiny bit of my personal cabaret, my unending need to write, taking pictures and wait for it…… and I paralleled parked. 🙂 Touch that! PS. I am a paradox. Oupa, I think you already know that. I am turning 40. I want a HUGE PARTY, TRUCK LOADS OF GIFT, LOADS OF FLOWERS, CLASSY SERVIETTES….. you know Liberace, but in overdrive, for my birthday………….. but I shy away from the attention at the same time while they sing happy birthday and you cut the cake and make a wish. Is funny that hey? I don’t understand it myself. Sometimes my spirit feels to big for the body that holds it. We are NOT flush with cash (we just moved) and you of all angels would know how I love to plan a party. I think my Mammie may say my father would have agreed! You know my Mom takes after your sister and doesn’t like people. hahahahah!!! God may tell you what I end up doing for my 40th birthday if He is in a spoiler mood since he knows things before it happens and He is a reliable source… because I think God has a sense of funny. He made Jaco Zuma you know. I think he dreamed nicer things for Hitler. Free choice is a bugger. Sorry if you have like really annoying people in heaven. We have trunk loads here on earth. I will stop marrying them now. Clicks your heals babe, and be enchanted in the must the dancers. It could have been you. Beautifully written. Quick paced and packed with emotion. Not unlike the production. Although these letters always make me sad in reading them, I love how you tribute towards them. Mens ek huil en smile en lag deur hierdie hele hart uitle skrywe. Tussen my trane deur verstaan ek wel. A brilliant post with so much sincerity….Rock your 40th!